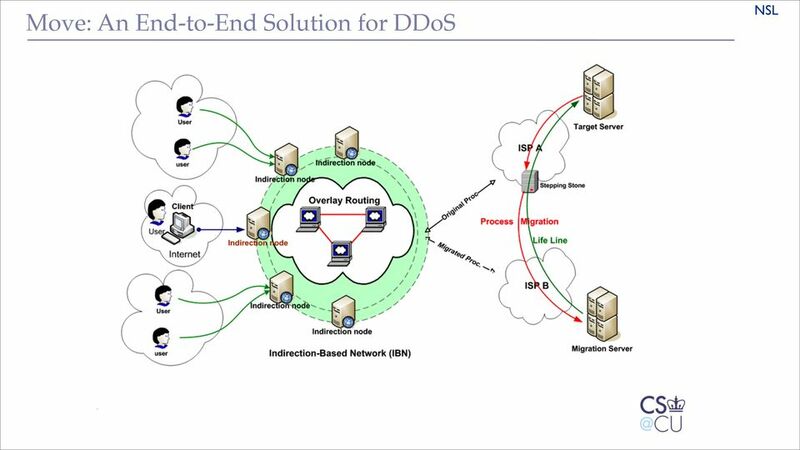 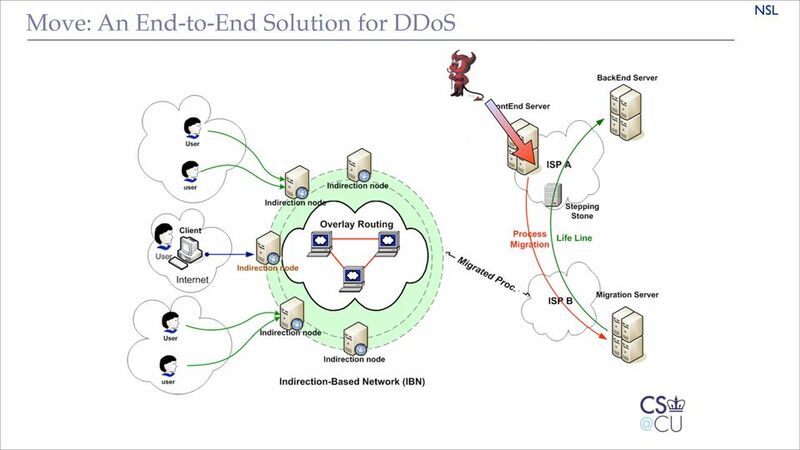 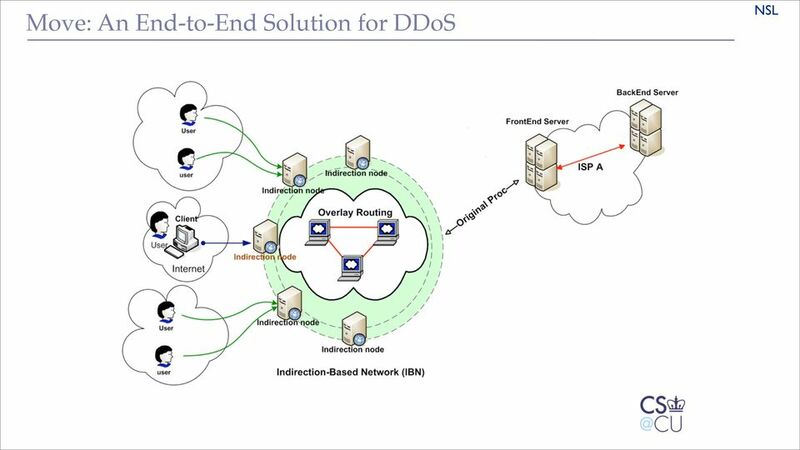 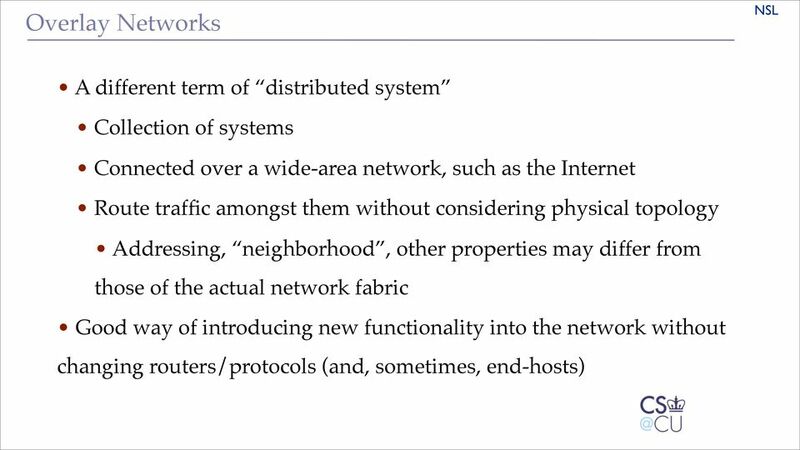 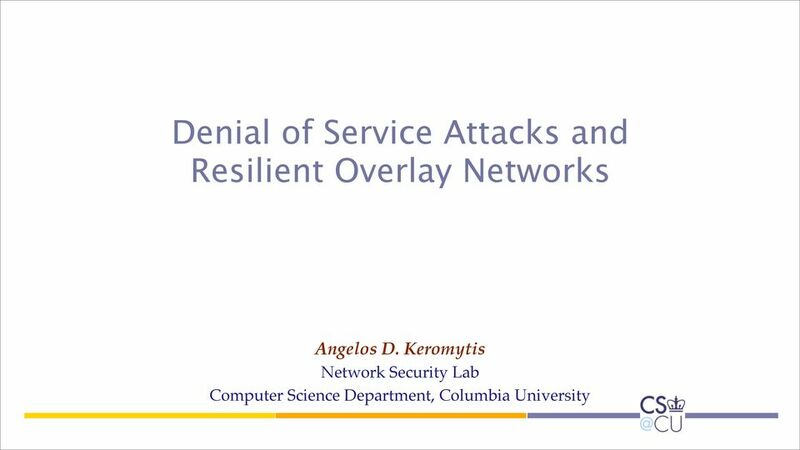 Download "Denial of Service Attacks and Resilient Overlay Networks"
11 Issues with Overlay Networks How do users discover (accessible) overlay nodes? 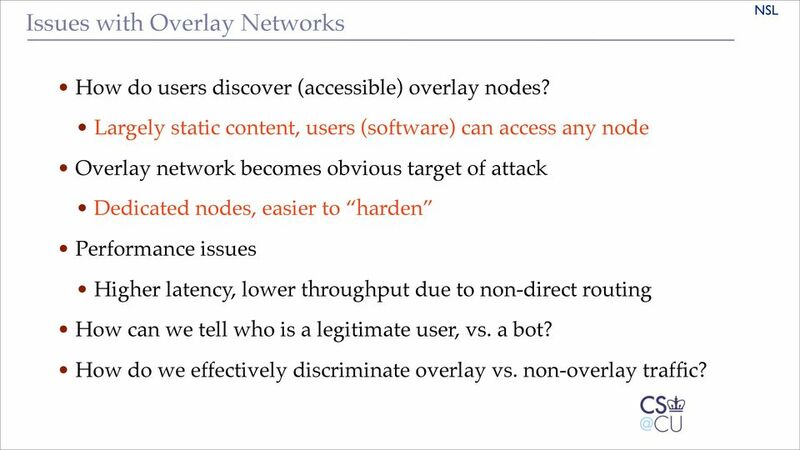 Largely static content, users (software) can access any node Overlay network becomes obvious target of attack Dedicated nodes, easier to harden Performance issues Higher latency, lower throughput due to non-direct routing How can we tell who is a legitimate user, vs. a bot? How do we effectively discriminate overlay vs. non-overlay traffic? 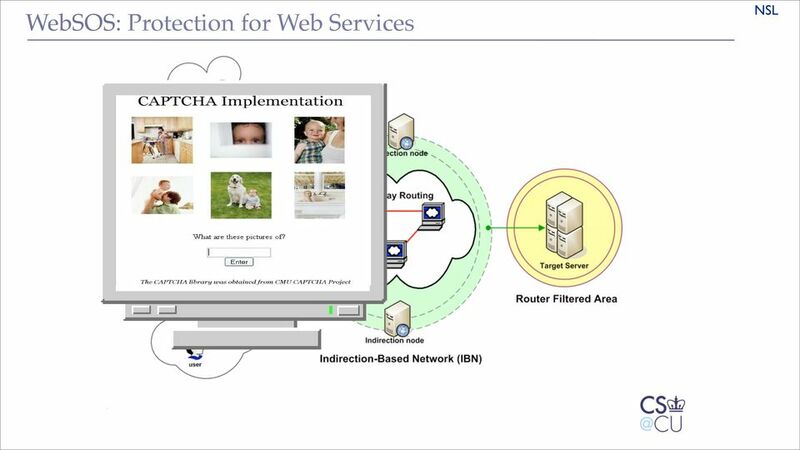 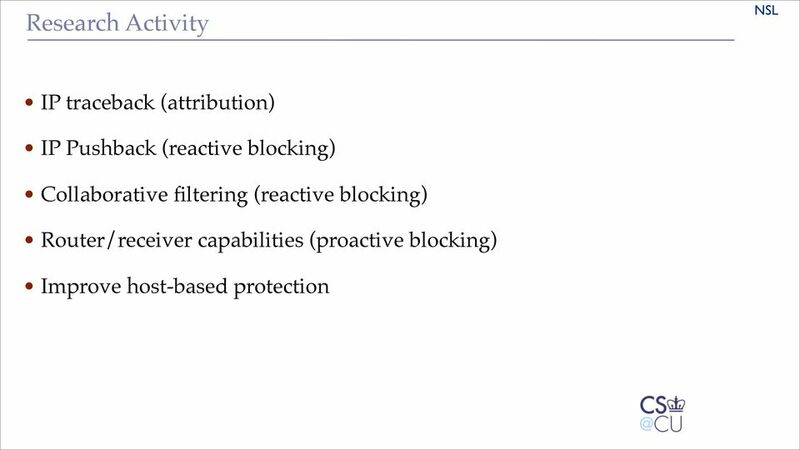 16 WebSOS: Protection for Web Services Can we remove Packet Filtering? 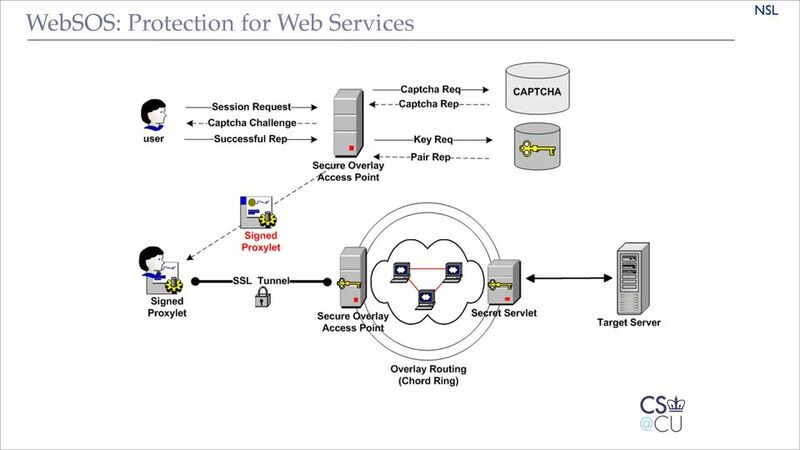 33 Fix attempt: use many entry points But this solution increases the state stored!!! 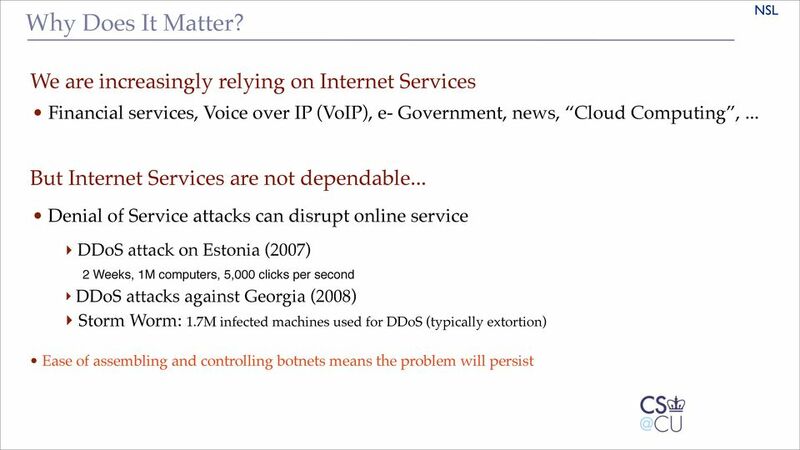 Cyber Security Where Do I Begin? 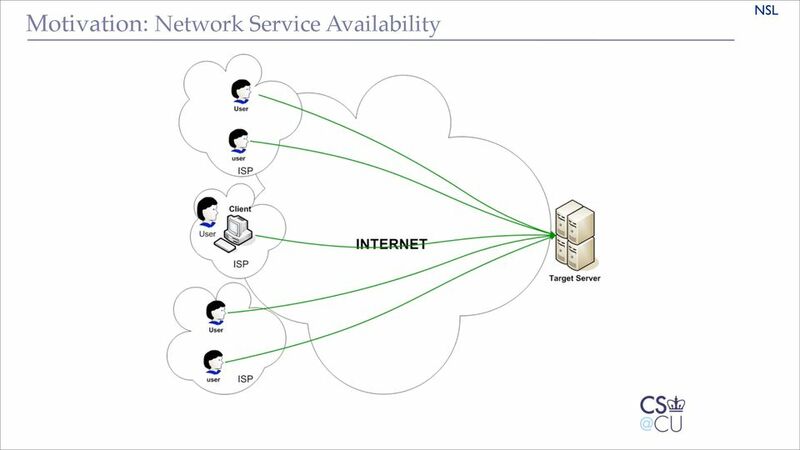 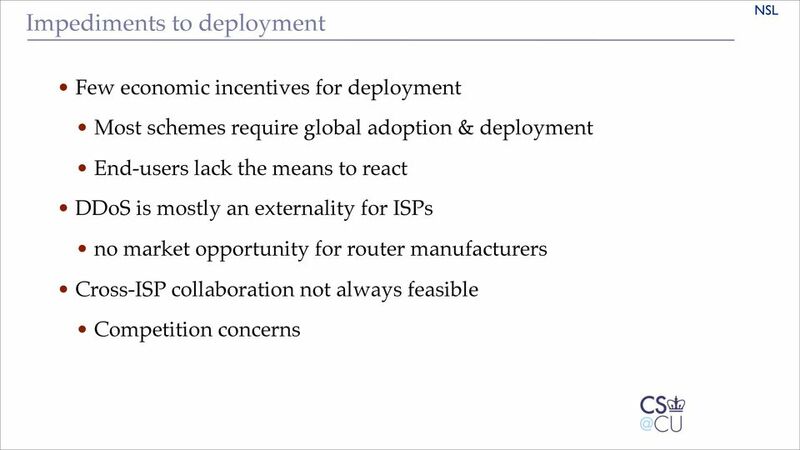 VoIP Over the Internet: Is Toll Quality Achievable? 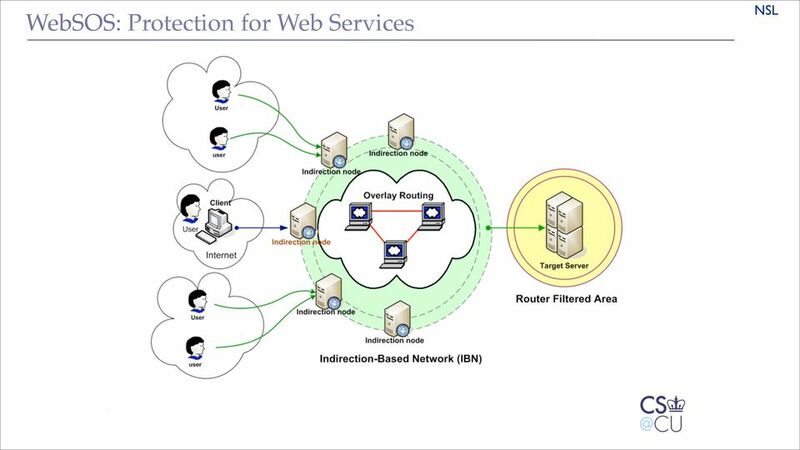 The server will respond to the client with a list of instances. 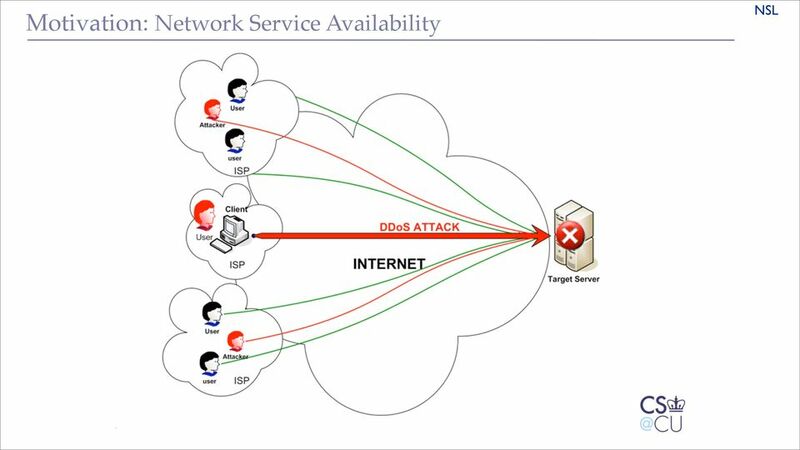 One such attack was analyzed by an information security researcher in January 2015.